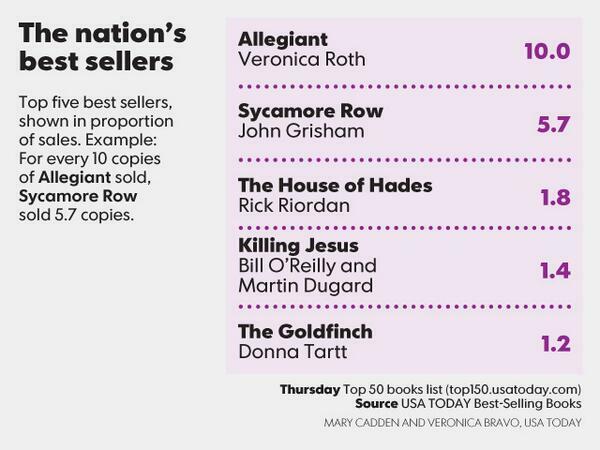 Congrats to Veronica Roth on the success of ALLEGIANT! Publishers Weekly reports: "In what was the largest ever first-day sales figure for HarperCollins, Veronica Roth's YA novel Allegiant sold 455,000 copies globally across all formats on its publication day, October 22. The book had an announced two-million-copy first printing. Anticipation mounted in the month leading to the publication of the final instalment in Roth's Divergent trilogy. Pre-orders set house records, and bookstores across the country hosted midnight publication parties to celebrate the book's release. HarperCollins put muscle behind its publicity and marketing efforts, both before and after publication. Roth was met by a sold-out crowd of 800 at the book's kick-off at the 92nd Street Y in New York City on publication day. Twelve hundred attended an evening event on October 23 at the Dallas Barnes and Noble, with fans lining up as early as 4:30 a.m."
ALLEGIANT is number 1 on the USA Today Best Sellers List, the Apple iBooks paid Best Sellers, and Katherine Tegen (publisher) reports it's topped the New York Times Best Sellers List too. NEW: 'Divergent' Book "First Jumper" Scene - From Four's Perspective! Oh my Four! 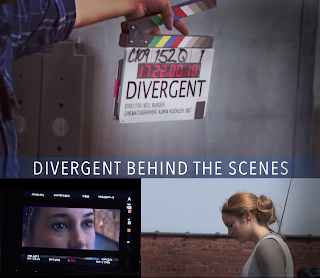 Re-live the moment Tris and Four first meet at Dauntless HQ- this time from Four's perspective!! This is a deleted scene from one of the future Four novellas. Veronica Roth read this new scene to lucky fans at the Allegiant book signing event in Dallas and Dublin, two of the stops on her book tour. On another stop in San Francisco, she read an excerpt from one of the Four short stories. We're told Veronica has said that at this time, it will not be used﻿ for anything. Below is the video of Veronica reading the excerpt, and we wrote out a transcription. 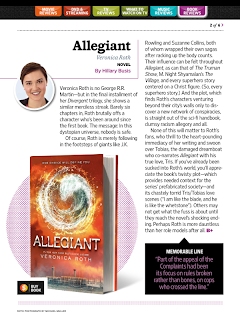 Here's a great in-depth feature on Veronica Roth which took place just before Allegiant was released. It covering many different aspects, including her success, anxiety issues and childhood. There are also comments from fellow authors John Green and Margaret Stohl. We've used excerpts from the interview, if you want to read the entire article, go HERE. "I've been feeling really weird," she said, watching commuter traffic crawl west along I-88, sipping at her cup. 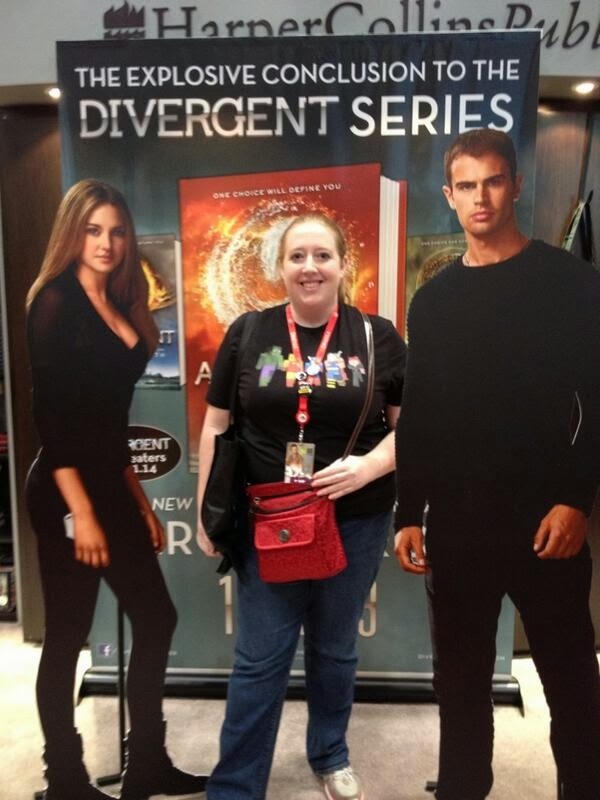 "There are all these people who are going to read 'Allegiant,' right? And they expect something of me. They will want this series to end well. They have high expectations. Yet I have this feeling of impending doom. Or is it —" she raised an eyebrow — "impending awesome? There are a million copies of this book going out!" Actually, the first printing is 2 million. 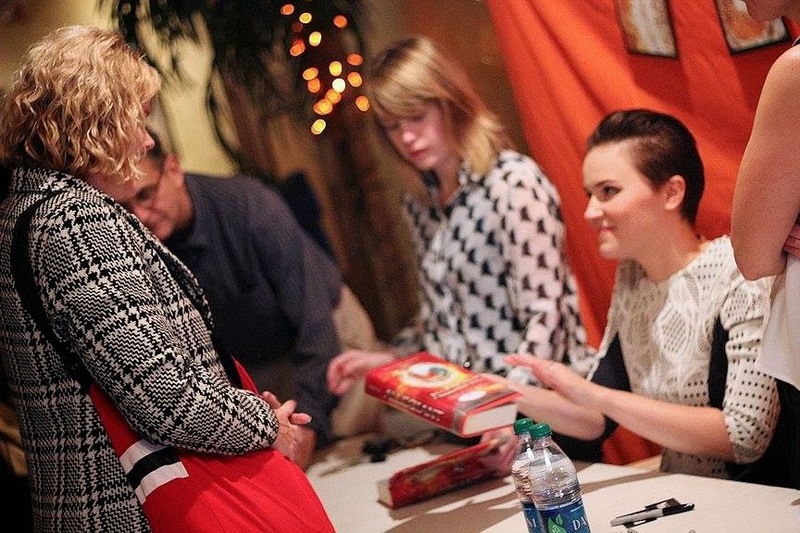 Divergent author Veronica Roth spent the weeks following the ALLEGIANT release, traveling around on tour to promote the book. The tour includes stops in Chicago, Dallas, New York, San Francisco, and even the UK. The events featured readings from one of the unpublished 'Four' short stories, Divergent scenes from Four POV, book signings, Q&As & special guests. Check out the pictures, videos and interviews in this dedicated master post. Q: Nature versus nurture is an important theme in Allegiant. Which do you think is more powerful, nature or nurture? Do you think your life is predetermined by your genes? I think it’s really an even combination, at least in my own self-analysis, the ways in which both nature and nurture have influenced the person I’ve become, and the people around me. In my own life, my family has a history of anxiety disorders, or, we think so. I refer to this as the nervous gene. Because a lot of my aunts and uncles are a little bit nervous, some of my cousins, my grandfather, me and my brother — but not my sister. So you can kind of see how the genetic nervousness gets passed on. However, I learned in my reading that unless you have some kind of provoking event when you’re a child, even if you have the gene for anxiety, so to speak, then it won’t get activated. So there’s plenty of people walking around who could be anxious, but just aren’t, because nothing particularly bad happened to them when they were young. If all goes well, the Divergent sequel 'Insurgent' could begin shooting in April 2014. We know a screenwriter has already begun working on the script, and Miles Teller mentions below that he believes this date to be when filming starts. 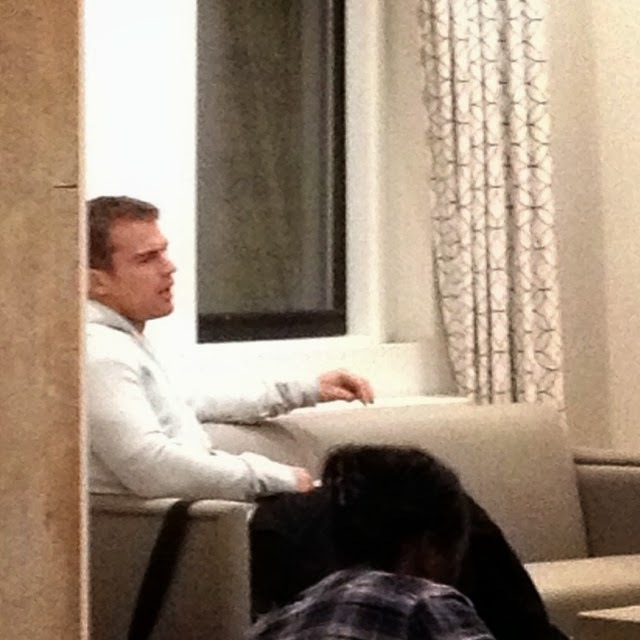 'Divergent' also had an April shooting start date earlier this year. Will we see it working to the same time scale, with a March theatrical release date in 2015? Of course, this is all dependant on one thing- how well the first movie does upon it's release! We may not see this date confirmed until then. Fandango Spoke to Miles at the Savannah Film Festival: "Right now I'm kind of hanging out. I don't have anything that I'm doing until probably January or February. I don't know 100%. Obviously 'Insurgent,' the next 'Divergent' film ... I think they are going to start the second one in April." And about the rumors he is up for a role in the Fantastic Four reboot? "Uh, you know, I don't know," Teller told Fandango. "If that happens, if everything works out, then I will be pretty pumped. But then I'll also be working for... it's like seven months out of your year. Which is not a bad problem." The shooting for the movie could clash with this, but we're sure the people behind both films could work out a schedule to suit both. 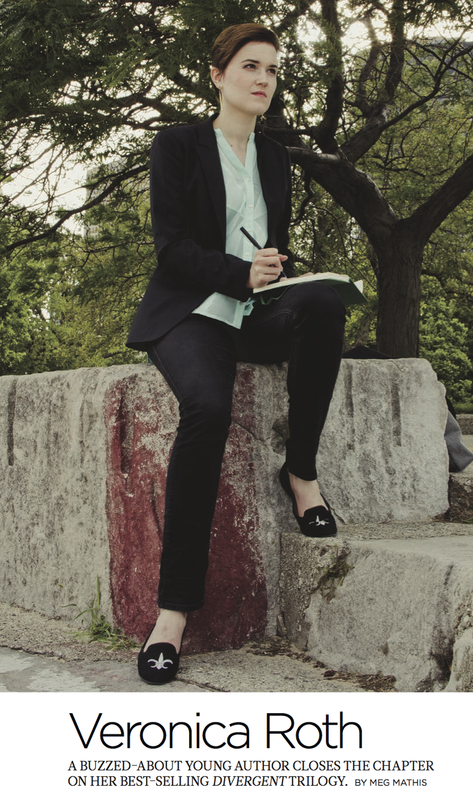 Check out this feature Veronica Roth took part in for Google Play. It sees the author read a touching letter she penned to her 14 year old self. It's pretty funny, and sweet. What would you go back and tell your past self? 'The Spectacular Now' lead characters are played by Divergent stars Shailene Woodley and Miles Teller. The movie received amazing praise from critics & film festivals. It had a limited theatrical release date so many fans are probably interested in getting the DVD. 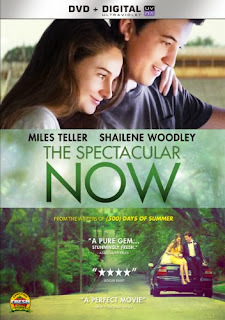 Summary: Based on the beloved book by Tim Tharp, THE SPECTACULAR NOW is the story of Sutter Keely (Miles Teller), a high school senior and self-proclaimed "life of the party," who unexpectedly falls in love with "nice girl" Aimee Fineky (Shailene Woodley). While Aimee dreams of the future, Sutter lives in the now, and yet somehow, they're drawn together. What starts as an unlikely romance becomes a sharp- eyed, straight-up snapshot of the heady confusion and haunting passion of youth. Costarring Brie Larson, Kyle Chandler and Jennifer Jason Leigh. 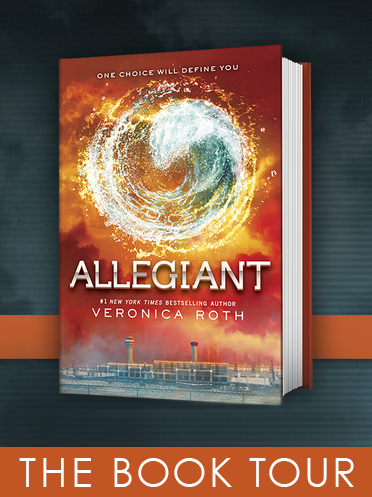 MTV EXCLUSIVE: 'Allegiant' Author Veronica Roth Explains Conclusion Of 'Divergent' Trilogy'. This is the first interview in which Veronica has spoken about how the series ended. Big spoilers here, guys! You have been warned! If you haven't finished reading Allegiant, come back and watch this at a later date. From Veronica's Blog: "All week, people who had read Allegiant were asking me the same question, and people on the Internet were asking, too. I answered it very briefly in the spoilery MTV interview that went up today, but I wanted to post a longer answer that goes a little deeper for those of you who are interested. I'm trying to be very careful about marking spoilers, so hopefully all this works:"
Check out this BRAND NEW look at the Divergent movie from ETOnline, with a behind the scenes look at filming, new footage, and cast interviews - including Shailene Woodley, Ray Stevenson, Zoe Kravitz, & Miles Teller. Earlier today, Veronica Roth spoke to TODAY’s Matt Lauer about the ending of the Divergent trilogy and the upcoming movie adaptation. 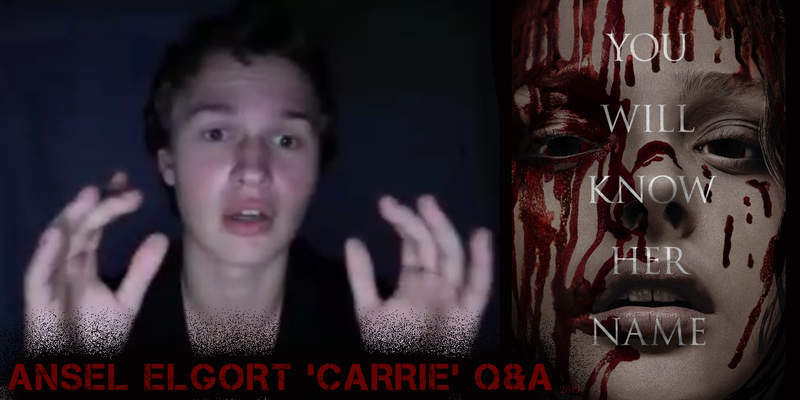 She also answers a few questions fans tweeted in! Watch above. Here are some new Divergent stills, and some familiar ones now in Higher-Res. Check out Dauntless leader Max above! 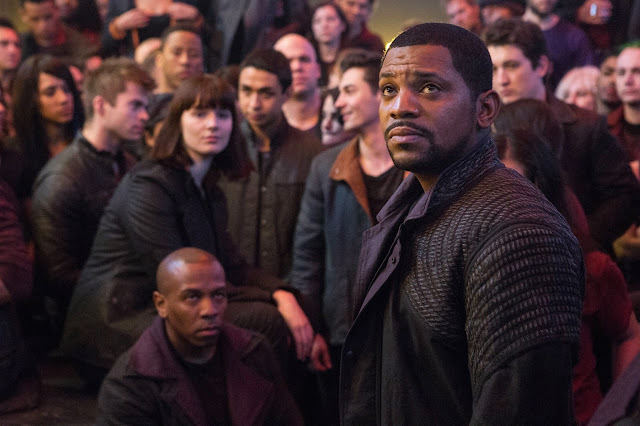 Plus we can make out some familiar initiates in the background. The images have been released as part of a new fan art competition: A chance to feature on the Official Divergent Movie Page. We are sharing 5 stills from Divergent to use for your fabulous fan art. 2) tagging it on Tumblr with #Divergent. 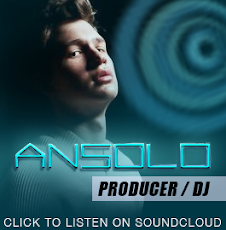 We’ll select your art next week to be part of the DIVERGENT Tumblr page!" More info and to download the images go HERE. See more stills after the cut. Note: Don't listen if you want to avoid reviews until you finish the book. Veronica Roth appeared on Here and Now radio show to promote Allegiant (released today) and was interviewed by host Robin, who also asked a question on behalf of DivergentLife.com! (Yay). Watch the video to hear Veronica answering our question. After reading the EW review a few days earlier, we wanted to know the thought process behind writing the ending of the book (though we havent finished reading it yet!). Veronica replies that she always knew how she wanted the series to end. “I was sure of it from the very beginning, what would do justice to these characters and this story, and I feel very strongly that this is the best possible ending for this book,” Roth said. Veronica also says she will some day talk about how this was set up in each book. Watch to hear the full answer. 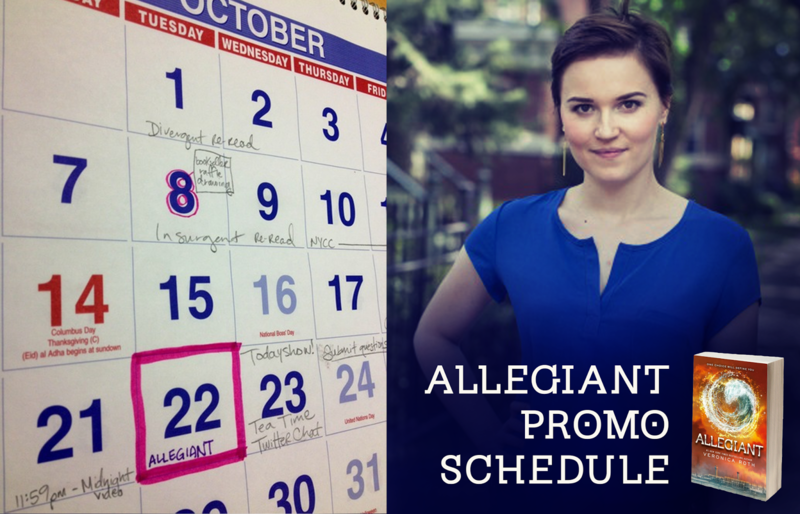 Veronica Roth's Midnight ALLEGIANT Release Video - Happy ALLEGIANT Release Day! Veronica Roth recorded a video message for fans in which she reads the very first chapter of ALLEGIANT to celebrate the books official midnight release! 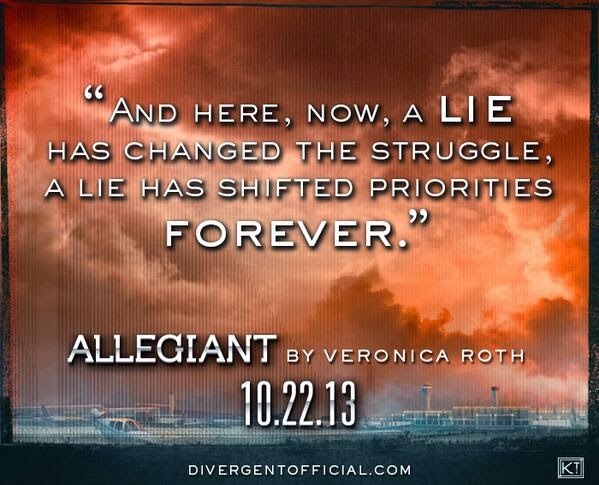 We can't believe the day the Divergent trilogy ends is finally here! We're excited and sad all at the same time. Happy reading! The day has finally arrived! Tonight at midnight, ALLEGIANT will be officially released! Here are a list of events to celebrate the release over the next few days that we can join in with. We'll update if more events are revealed. Don't worry if you're too busy enjoying Veronica Roth's latest instalment, we'll be keeping the site up to date with all the latest news & recaps of the events. Miles Teller is busy promoting his new movie 'That Awkward Moment', and in his latest interviews, he talks briefly about his role as Peter in 'Divergent', and about the buzz surrounding the movie. There's also a gallery below featuring photo's from a fan Q&A with Awkward Moment co-stars Zac Efron & Michael B Jordan, and official portrait pictures. B-ROLL VIDEO: 12 Minutes of Behind the Scenes Footage from the Divergent Movie! UPDATE: So it turns out this footage wasn't actually 'officially' released after all! The videos have now been taken down by Summit, and we've had to remove the images too, but don't despair, it will likely be released for real at a later date, in one form or another. Think of this as having had a very lucky early look! 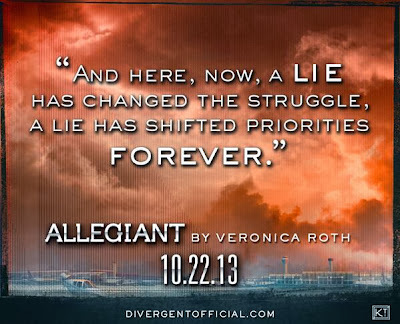 10 Reasons Why We Cant Wait for ALLEGIANT! In honor of passing the 1 week mark in the countdown to ALLEGIANT, here are 10 reasons why we cant wait for the final book in the Divergent trilogy! Divergent author Veronica Roth has a new message for fans. In the video she talks about the decisions made by Tris, Marcus Eaton refusing to die, Caleb Prior's shock choices, Allegiant, & visiting the Divergent movie set. 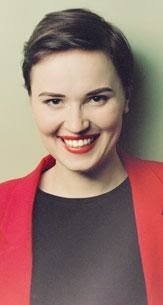 Veronica Roth wants to learn to cook. Roth hasn’t exactly been slacking— the Northwestern University grad has already carved a wildly successful career out of her passion for writing, selling more than four million copies of the first two books in her young adult fiction series, Divergent, which has enjoyed an impressive run on The New York Times best-seller list. The trilogy, which follows 16-year-old Beatrice “Tris” Prior in a futuristic Chicago, will culminate with the October 22 release of the final novel, Allegiant. 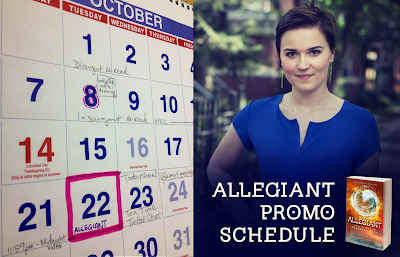 To celebrate the release of ALLEGIANT, author Veronica Roth will read the first chapter to fans! Exciting! 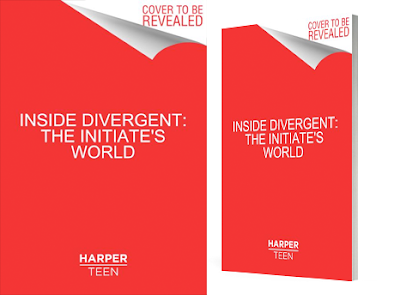 We'll definitely be watching this, while staring anxiously at our Kindle..
"At 11:59 p.m. on October 21, the Divergent Tumblr Web site will broadcast a pre-taped video of Roth reading the very short first chapter (“a little taste,” she said). During the segment, which she plans to tape in her home office, she will talk from the cushy yellow chair where she takes breaks, not from the treadmill desk where she writes on her PC laptop while walking “really, really slowly,” she said." Those first three pages are told from Tris’s point of view. “I wanted to start the last of the series with her voice,” Roth said. But then Four gets a turn. “They’re mostly alternating by chapter, but not exclusively,” she said. 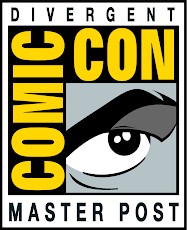 Fans can expect the characters’ relationship to develop. “In the other books, they haven’t really gotten the chance to get much closer because they’ve just been running around all the time,” she said. Roth will be lying low during the midnight release, and isn’t exactly sure what she will be doing: “Probably getting ready for bed?” She’ll need her rest: later the next day she is appearing in person before an audience of 800 at the 92nd Street Y in New York City, with a surprise guest from the film Divergent, hitting theaters March, 2014. Then on October 23, she will appear on Today. “We see this as the publishing event of the year,” said Lauren Flower, director of integrated marketing for HarperCollins Children’s Books. Here is a new image from the Divergent movie featuring Tris and Four! (LQ for now). It seems to be from the moment after Tris jumps into Dauntless HQ for the first time. First jumper! The still appears in the November 2013 issue of ELLE magazine. Yesterday we posted the cover of the new 'Women in Hollywood' issue featuring Shailene. Head there to read the updated full feature & see the full scan featuring the new still. "Tris had this opportunity to become brave and courageous, but it wasn't by choice, it was by force. I think the really profound thing about her is her selflessness." . Be sure to pick up your issue of ELLE on newsstands October 22! This weeks New York Magazine examines the fast-growing young adult lit genre, including a profile of author Divergent Veronica Roth and a nine-step plan for creating the next teen franchise. 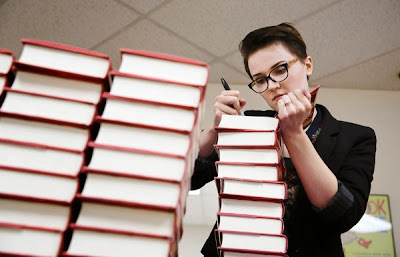 On March 31, 2010, 21-year-old ­Veronica Roth wrote a blog post titled “You + $$$ = ?” Roth was a creative-­writing major at Northwestern who planned to support herself as a proof­reader after graduation. The exercise on her frequently updated blog was about imagining success: What would she do if she suddenly had the resources of ­Stephenie Meyer or J. K. Row­ling? Roth’s answers were unapologetically practical—buy a house in Wisconsin, invest, donate to charity—and her wildest dream involved jumping into a pool of mini-marshmallows. 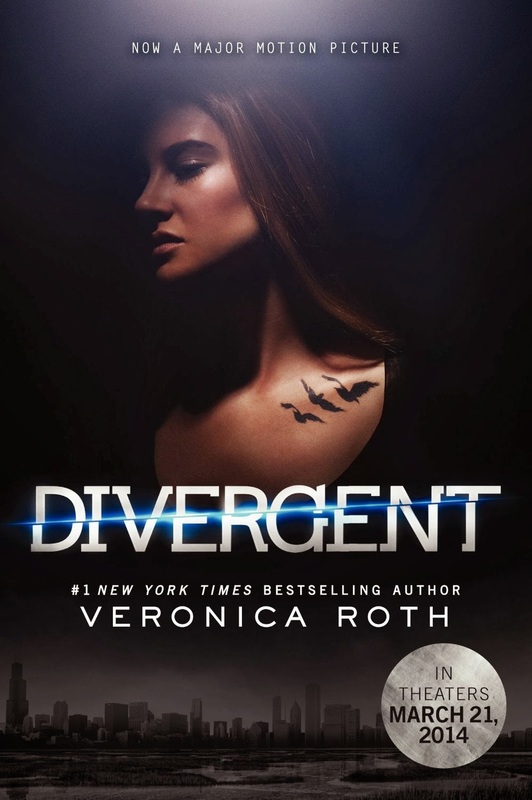 "Illustrated with more than 150 photographs—many never before seen—this eye-catching volume takes you inside the film version of Divergent where you'll relive the electrifying story of Tris, Four, and all of the other characters from their world. Unforgettable scenes, such as the Choosing Ceremony and Ferris wheel, are included." On Sale: 2/11/2014; Format: Paperback, eBook. Pages: 144. Available to pre-order now. The movie tie-in edition of Divergent will be released February 11 next year, just over a month before the movie hits theaters! Fans of the series are definitely going to want to get their hands on this. Hardcover & paperback versions are listed. For those unfamiliar with movie tie-in editions, they are books rereleased with new redesigned covers using images from the movie.